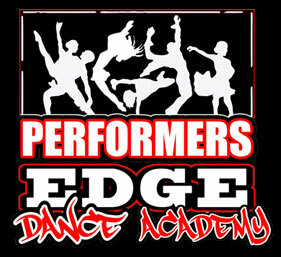 Performers Edge Dance Academy offers over 30 group classes every week, private lessons in nearly every technique, plus optional performance opportunities in competitions and an elaborate annual recital. Private and semi-private lessons are arranged by appointment, making every effort to accommodate the specific needs of each individual. Creative movement is set for 2 to 3 year old students and prepares the child for a structured dance class. The class is designed to work the motor skills in a fun and imaginative way. Dress Code: The proper attire needed for this class will be a pink PEDA leotard, pink tights and pink ballet slippers. Tumblebugs is an introduction to basic floor gymnastics. Gymnasts will learn forward rolls and cartwheels building strength and confidence to eventually move on to a more advanced level of tumbling. Tumblebugs are designed for children from 3 to 5 years old. The class will help each student develop basic motor skills along with an introduction to gymnastics. Tumblebugs is a fun and energizing class. Dress Code: The proper attire needed will be a PEDA leotard (pink or black), a pair of PEDA shorts and bare foot. 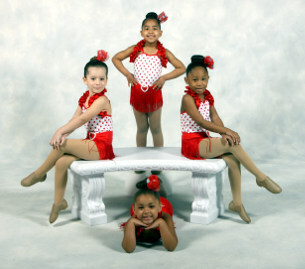 Ballet/Tap is a combo class which consists of a half hour of ballet as well as a half hour of tap. The students in each class will learn ballet-based and tap-based terminology along with basic level techniques fit to the age of the class. Dress Code: A PEDA leotard (pink or black), pink tights, pink ballet slippers and black patent leather tap shoes are required for our combo classes. Hippity Hop- class consists of the original style that was created in the Bronx to the newly street style dance today. Class begins with a warm up and moves on to a combo incorporating the newest HipHop technique while enjoying age appropriate music. Hippity Hop is set for 4 to 6 year old students. This is a fun-filled class that develops coordination skills and basic technique while listening to the latest new pop songs, which are age appropriate. Dress Code: Black Hip Hop sneakers along with PEDA short set or PEDA pant set is required. Jazz is the most enduringly popular dance lesson around. It is superb for toning the entire body. 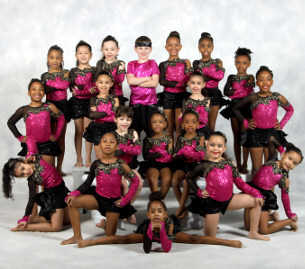 During this class dancers will work on their flexibility, jumps, kicks and turns while learning a fun high-energy combo. Jazz is an hour-long class set for the ages 9 and up. This class will consist of a 20-minute warm-up, learning jazz techniques either across the floor or in the center and a combo at the end of every class. This a great class for every dancer. ATTIRE: Black jazz gore boots, tan or black tights, black PEDA leotard, and shorts are required. Musical Theatre Jazz is technique with character and performance training. Dancers will warmup and learn a combo to Broadway musicals as well as popular movie soundtracks. Tap is the most fun-filled class which requires Tap shoes. Class will begin with a warm-up, across the fall and a combo learning rhythm and sound technique. Tap is an hour-long class set for the ages 9 and up. This class will teach the students rhythm made by movement of the feet. Tap is an American dance form, essential in developing timing, rhythm and coordination. Dress Code: Black capelin oxford tap shoes, back PEDA leotard and PEDA shorts required. Hip-Hop class consists of the original style that was created in the Bronx to the newly street style dance today. Class begins with a warm up and moves on to a combo incorporating the newest HipHop technique while enjoying age appropriate music. Hip Hop is an hour-long class set for the age 7 and up. This is an innovative class that requires no previous experience; just lots of energy and dynamic expression. This class consists of jazz warm-ups along with funky and cutting edge choreography. Music from the hottest singers and recording artists are played throughout the class. Contemporary is a class that focuses on expressive dance that combines several elements of modern, jazz, lyrical and classical ballet. Contemporary connects the mind and body with fluid dance.This class is an hour in length and geared towards ages 9 and up. This class requires technique along with a passion for dance. This genre of dance helps dancers incorporate their feelings with the art of dance. Expression and emotion is essential. Dress Code: PEDA shorts set or black PEDA leotard with foot undies is required. Ballet is the foundation of all genres of Dance. Ballet-basic structure including several segments which are usually Barre, center, Adagio, Allegro and Reverence. Over time dancers gain technique, learn movement principles, and develop a professional attitude while learning dance studio etiquette. 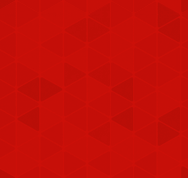 This class is 1 hour - 1 1/2 hours long depending on the level and age of the student. This class shows discipline and respect for all attending. The students will complete a barre in each class working towards a strong foundation of technique. A recommendation from the teacher will determine if the student will be put on pointe. Dress Code: Pink or Black PEDA leotard, pink tights, pink split sole ballet slippers with hair pulled back in a tight bun are required for every class. In our Technique class dancers will learn all their turns, jumps and kicks while building their self-esteem and confidence. The Beginner level will work on basic techniques such as cartwheels, round-offs, hand stands and forward rolls. The Intermediate/Advanced level will work towards skills such as front and backhand springs, side ariels, front ariels, back handspring, back tucks, front tucks and many more challenging tricks. Dress Code: PEDA leotard, PEDA shorts and bare foot is the proper attire for this class. Musical Theatre is a 45-minute class set up for ages 6 and up. Within this class students will learn how to sing, dance and act. This is an extremely fun class for all involved. Voice is an hour-long class focusing on vocal warm-ups and mastering a strong level of confidence within yourself. We offer this as a group class for ages 12-16. Private lessons are available. Salsa is a type of Latin American dance with movements that are originated from Cuban Son, Cha Cha Cha, Mambo, and Puerto Rican Bomba. Salsa at Performers Edge is taught on the 1 and 2. This is an hour-long class full of fast footwork along with quick hip movement. This is a great class for ages 9 and up and perfect for adults. Latin Jazz- genre of Jazz with Latin American rhythms. This class will teach each dancer to isolate their hips while learning Jazz technique. Dance Hall is a genre of Jamaican popular music. Choreography is based on the increasingly characterized faster rhythms. This class is a form of Reggae cultural art. Ballroom class is an introduction to basic Foxtrot, Waltz, Tango and Latin styles such as ChaCha, Salsa, Hustle and Samba. Zumba is a fun class that helps with conditioning the body through dance with Latin rhythms.